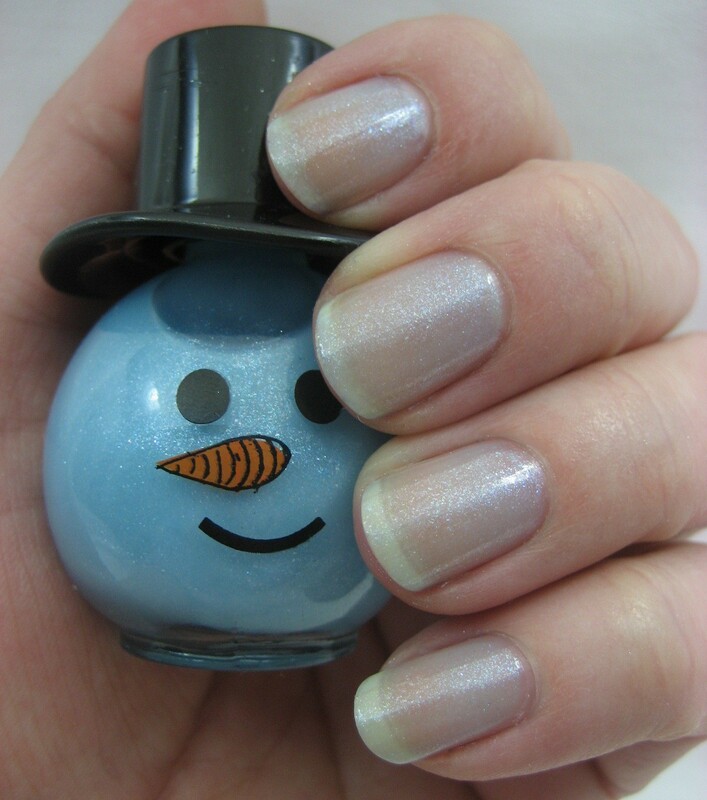 I didn't have time to swatch all the snowmen featured in my last entry (someday maybe I'll get around to it), so I picked a sample of different finishes. 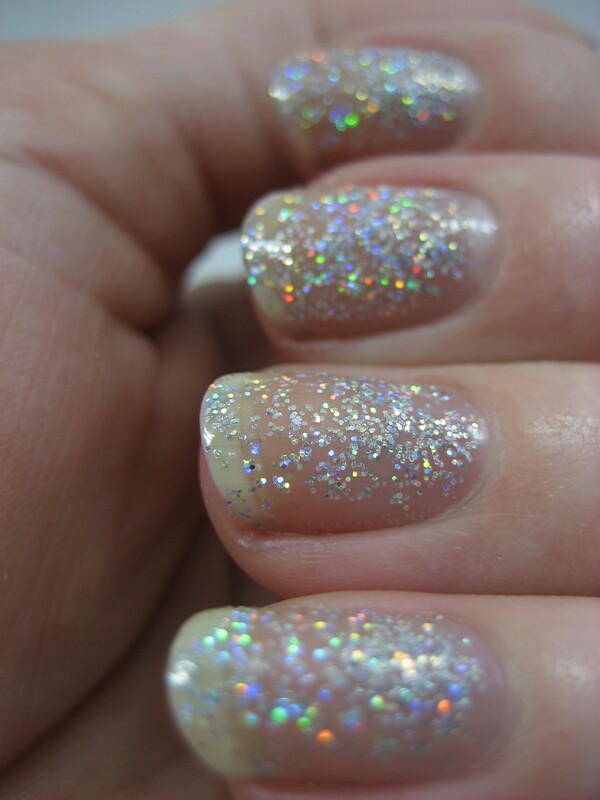 I started with the flashiest one, the holo glitter in silver. I used three coats, and that was nowhere near enough for full coverage. I think we've got ourselves a layering polish here. It does show lots of pops of color, though, even as sheer as it is, so I'm happy to layer if need be. 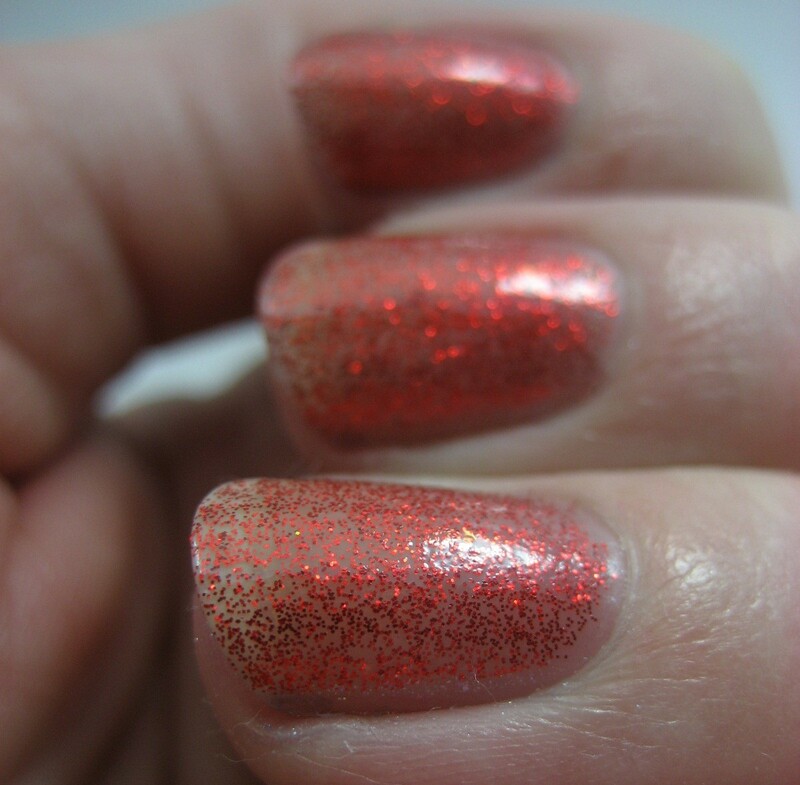 This definitely needs a top coat, too, which I did not put on for these swatches. I took a lower light picture so you can see the texture. 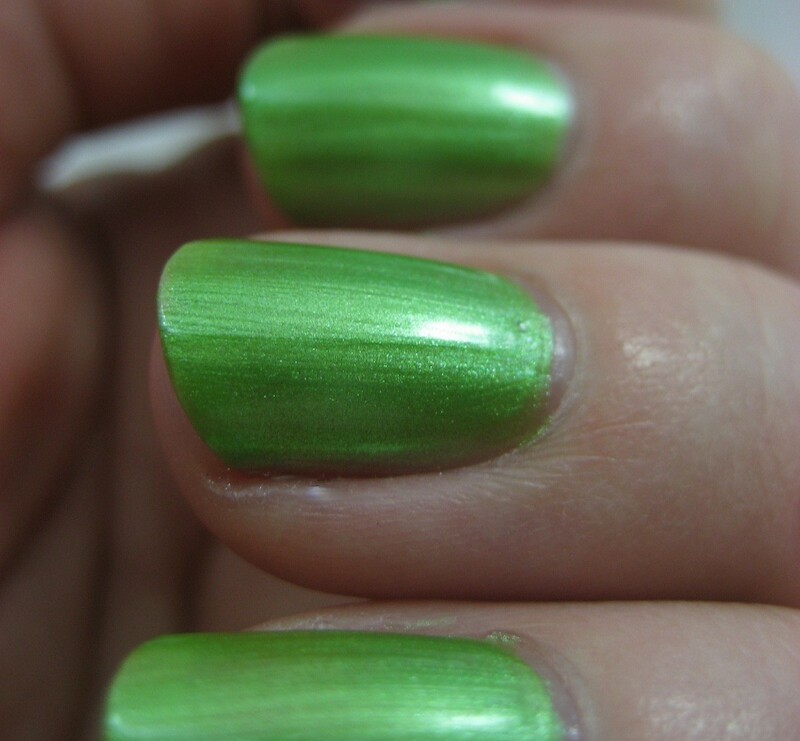 Next up, a bright green shimmer (none of these have names, and unlike the Mood Struck which Blue Cross put out this summer, the colors don't even have unique UPCs, so that naming convention won't work). I used three coats of this one as well, and that did give me full coverage. It is a bit brushstrokey, but not so much that I think it should be called a frost. 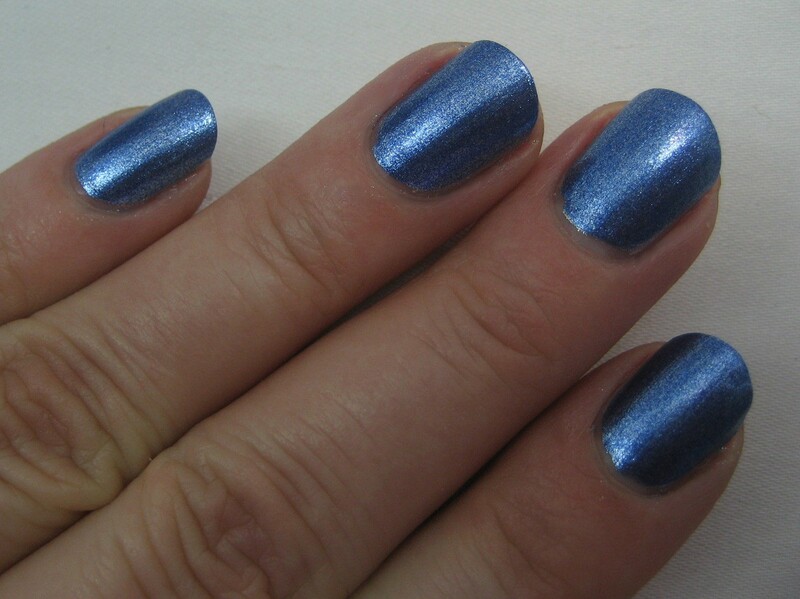 Here's one of the foils, the blue. This took only two coats and was so shiny that my camera had trouble focusing on it. I really liked this one. Fourth in the line up is one of what I'm calling a micro glitter because compared to the ones I'm calling shimmers, these have bigger particles showing. I picked the light blue one for swatching duty. 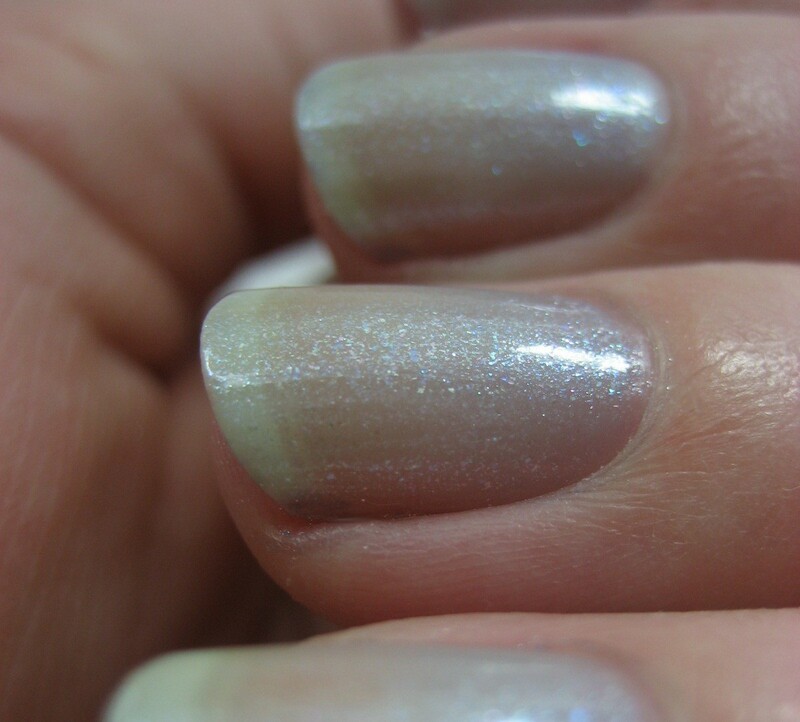 I used three coats and it was still very sheer, but I liked the look. I think this might be great for layering over darkers colors, too; I want to try that at some point. Finally, the one I almost didn't post because I think it looks not so nice on its own: the red glitter. Unlike the holo glitter, there are no pops of color in this one to distract from the sheerness (three coats here again), and the base color seems to accentuate the slight yellow staining I've got on my nails. I'm definitely going to be layering this one over opaque bases from now on. 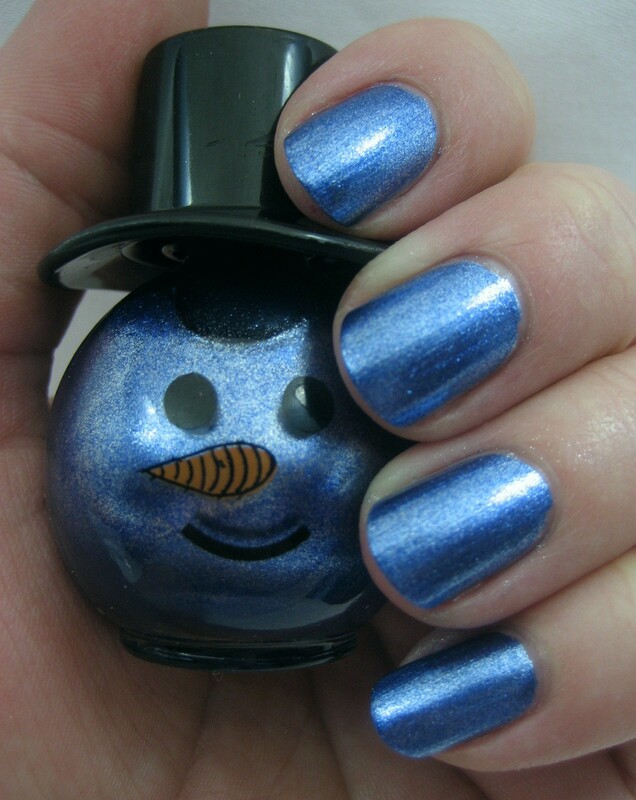 I want to do more swatching of the snowmen but so many other holiday polishes are clamoring for my attention that I'll just have to see when I can fit them in. 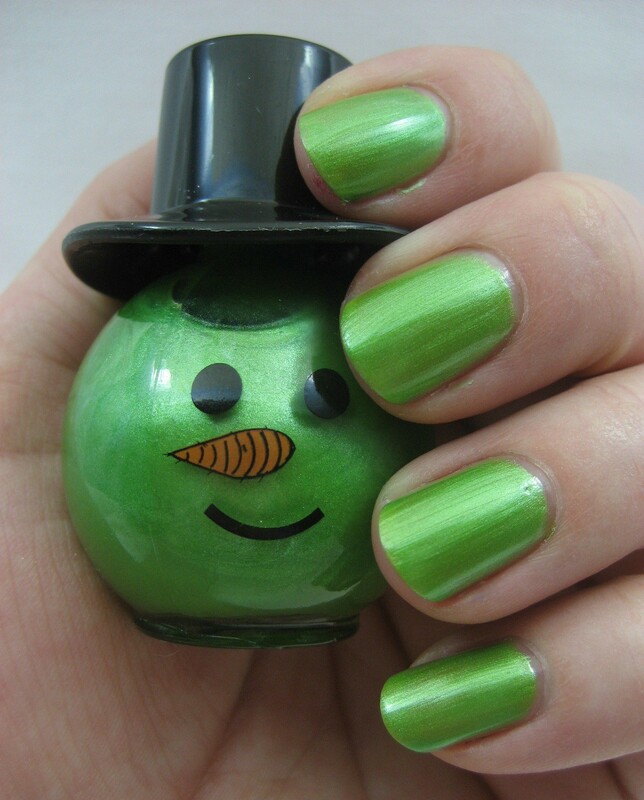 Regardless of what I manage to do on the swatching front, there will be some snowmen prizes in the holiday giveaway I plan to post this coming week, so keep an eye out for that. :) I'm excited to see more of these! these are sweet! i really like the apple green. the bottles are amazing.. 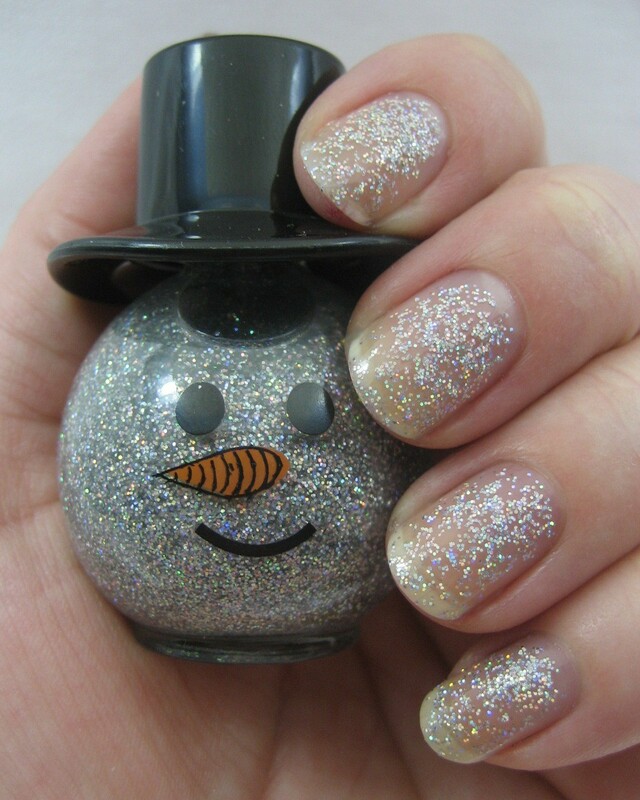 I want the polish just for the bottle!! Cute snowmen, cute snowmen, cute snowmen! :D They aren't bad polishes either! Great post and swatch review. I wish I could find them where I live just so I can try them out. I really like the foil!! The snowman bottles are so adorable!